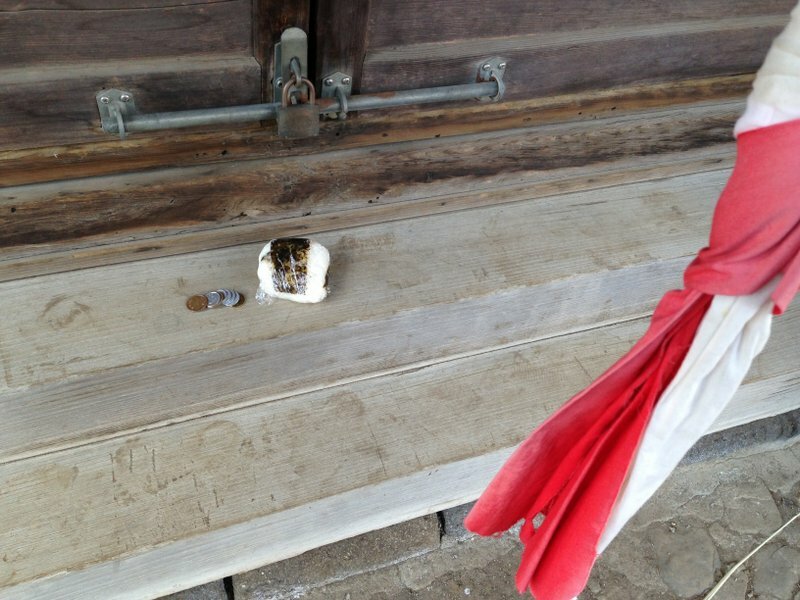 Saying a brief prayer at my local shrine, I was startled to see that another visitor had left a saran-wrapped onigiri (rice ball) next to a small pile of coins on the threshold. I guess the local gods enjoy earthly food as well as currency. If you blink, you would miss the brief bloom of these lovely purple bulbs. There’s a large patch of them along the entrance to my apartment building. The flowers are very delicate, and the leaves plentiful and verdant. I don’t know their name, but they seem to be very resilient. The entrance garden is divided between professionally trimmed hedges on the left and this large area on the right cultivated by residents and nature.